Female contestants scurry to the finish line at the "Waiter's Run" in Annecy. The monthly "Waiter's Run" pits local restaurant staff against each other in a race through Annecy's old town followed by a loop around the edge of Lake Annecy. Yesterday's photo shows the old town portion of the Waiter's Run. 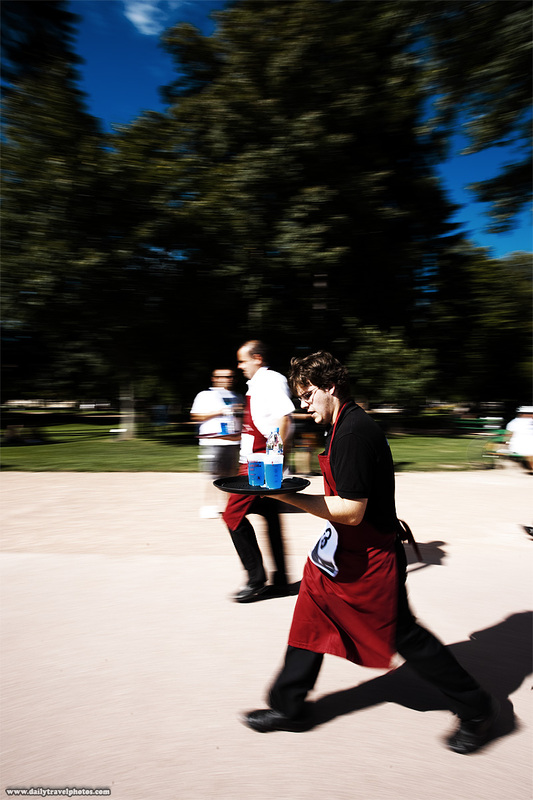 A male contestant carefully balances the contents of his serving tray while nearing the finish line at Jardin de l'Europe near Lake Annecy.